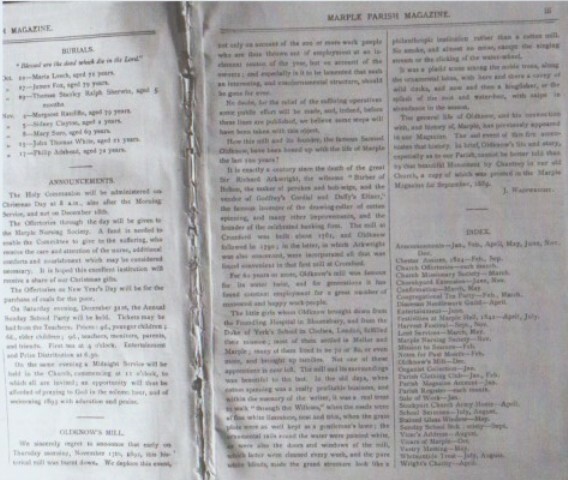 Extracts from Marple Parish Magazines dating from 1892 - 6 giving information on the Mellor Mill Fire and its effect on the community. Oldknows Relief Fund, subscriptions for unemployed operatives, Marple Parish Clothing Club. 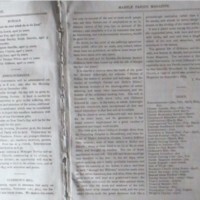 “Mellor Mill Fire : Material from Marple Parish Magazines : 1892/6,” Marple Local History Society Archives, accessed April 20, 2019, http://marplelocalhistorysociety.org.uk/archives/items/show/2357.